Scientist are slowing slowly beginning to discover how insidious sitting really is to our health. If our bodies are temples, why are they falling down? Someone once told me that, after a certain age, if you don’t groan when you get up in the morning, you’re dead. Let’s face it, the majority of us are huffing and puffing our way through life, even when we all know we should be more active and less sedentary. We were designed to be running, hunting and gathering – not sitting down for the best part of our day. This is why researchers refer to sitting as the “deadliest killer you’ve never heard of”. Such diseases only afflict people who are inactive and overweight, right? I’ve got bad news for you, friend. The “Active Couch Potato Phenomena”, as scientists have wonderfully named it, affects even those of us who are smugly satisfied doing the recommended 150 minutes of vigorous exercise a week. This means that it is not enough to do your exercise and then return to sitting. It is sitting itself that is the killer. 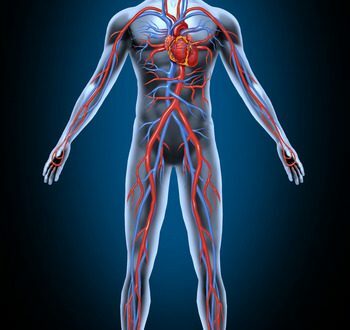 Circulation is simply the body’s system of moving oxygen and nutrient rich blood to all parts of the body and removing waste and carbon dioxide. With your heart as a pump, it is constantly circulating. Breathe in and all that oxygen enters your body; breathe out and away floats the carbon dioxide. So, how do you know if you have circulation problems? Sometimes, it’s very obvious; cold feet and hands, numbness, tingling and cramps are all symptoms of poor circulation. However, if you don’t experience any of those symptoms, don’t be complacent and assume you’re fine. As we are happily sitting in our comfortable chairs, our hearts are pumping slower than if we were standing or walking and our blood circulates more slowly. Our hearts are muscle and, like any muscle when not exercised, will weaken. Shockingly, research has proved that for every hour we sit, we increase our chance of suffering from calcification off our arteries by 14%. The statistics show that extended sitting results in an increase in diabetes. While not all scientists agree with why this is so, the numbers are dramatic enough to convince them that it’s true. Some studies have shown that lack of muscle and poor circulation decrease the body’s sensitivity to insulin and therefore cause diabetes. Another possible causative link is that those of us who spend too much time sitting tend to be more overweight than those who are constantly on the move. Obesity is proven to cause diabetes. Like with diabetes, obesity is linked to many cancers. Even those who are not overweight but sit too much are at an increased risk of certain types of cancer such as colon, including bowel, ovarian and prostate. One theory that explains that is that lack of regular movement and poor blood circulation affects the body’s hormone release. Insulin again is a causative factor as the decrease in the body’s sensitivity to insulin causes the body to produce more of it. Then, to make things even worse, insulin boosts new cell growth which, in turn, can become cancer. Colon cancer is most commonly associated with prolonged sitting and this may be because poor circulation causes digestive problems. The digestive process uses a huge amount of energy (up to 60% of our daily intake when consuming high fat food but much less for fruits and vegetables!). This is then carried through the circulatory system in the blood. The pressure we place on our abdomen and stomach when sitting decreases circulation and affects the natural flow of our digestive tracts. So it’s little wonder that prolonged sitting starts bunging us up. Food gets stuck in our stomach, ferments and gives us acid reflux. Food gets dehydrated and then gets stuck in our bowels. Need I say more? Yes, I do. Irritable bowel syndrome, cramping, bloating, and constipation can also be added to this delightful list. Our digestive health is critical to our overall health. Yet our very lifestyle makes it impossible to function properly. Poor digestion isn’t in itself fatal but leads to increased risk of colon and stomach cancers as well as increasing our anxiety, depression, and stress levels. I know you are all picturing a dancing Halloween skeleton now, aren’t you? Actually, the cartoon image of a skeleton is not that far off reality. It just doesn’t include all the tendons, ligaments, cartilage and vertebral discs which form the musculoskeletal system. Let us start by looking at the main problem that people associate with extended sitting; back pain. Most of us sit very badly, back hunched, neck bent forwards, all our weight on our coccyx (tailbone); really the worst possible position for our skeleton to be in. A few years ago I woke in the middle of the night to agonizing back pain. My husband took me to the emergency department and, eventually, they diagnosed a slipped disc in my neck. I couldn’t understand it; I hadn’t lifted anything heavy, hadn’t had a car accident; there was no reason for this. My chiropractor said that I have spent my life walking towards the edge of the cliff. A lifestyle of sitting too much, sitting too badly, of bad posture, lack of spine strengthening exercises, and generally being a blob, had taken me step by step towards the edge of the cliff. Quite simply, that night, I took the final step and fell over. Is it any wonder that musculoskeletal problems are responsible for 20% of work days lost? Back pain itself is not a killer; but chronic, long term pain has a direct affect on the psyche and leads to depression, stress and anxiety which, in turn, lead to a weakening of the immune system. Basically, Cortisol, the steroid we produce when stressed, prevents the immune system from working properly. Our bones need weight-bearing exercise to be healthy. Walking, running, weight lifting etc. all increases our bone density. This makes them harder to break and gives us a stronger body. When we sit too long without that exercise, our bones weaken. Unless preventative measures are taken, osteoporosis occurs, especially in women. As osteoporosis worsens, the entire skeletal system changes and sufferers develop a stoop. This further increases associated pain and is, sadly, a self-sustaining cycle. Is there any good news or is it all doom and gloom? There is good news and that is our bone density can be improved with a change in sitting and exercise habits, as well as medication and supplements,. Research into the psychiatric effects of over-sitting is less precise than other illnesses. Statistics (again, I know, so boring) show that those who sit over 6 hours a day are more likely to suffer from stress and depression than those who sit for less than 3 hours. Part of this is attributed to the lack of good oxygen flow to the brain. Another is attributed to the fact that lack of exercise stops the production of those famous happiness causing endorphins. Of course, as we mentioned before, these conditions also depress our immune systems opening us up to all kind of nasties. So, is the choice Stand or Die? In a way, yes. The less we sit, the healthier we will become. It really is as simple as that. We need to break those habits which result in us parking our backsides on the sofa at the end of a day after having parked our backsides on our office chair throughout the day. We need to move more frequently when we are sitting. Take regular breaks, at least every hour if not more. Stand up, stretch, walk up the stairs to the water cooler or toilet instead of using the one on your floor, go for a fast walk around the building for 5 minutes. Bring in a standing desk to your office if that’s what it takes. Don’t care what people say or what you look like. Eccentricity is something to be proud of and it helps you live longer. Passionate ergonomics practitioner with the goal of helping as many people as possible. More than 10 years of experience helping companies create healthier workplace that employees love.